Assembled Dimensions: 15" x 40" x 7.25"
This is for one Brand New KidKraft Girls Vintage White Retro Kitchen Kids Pretend Play Toy Set . Bon appétit! 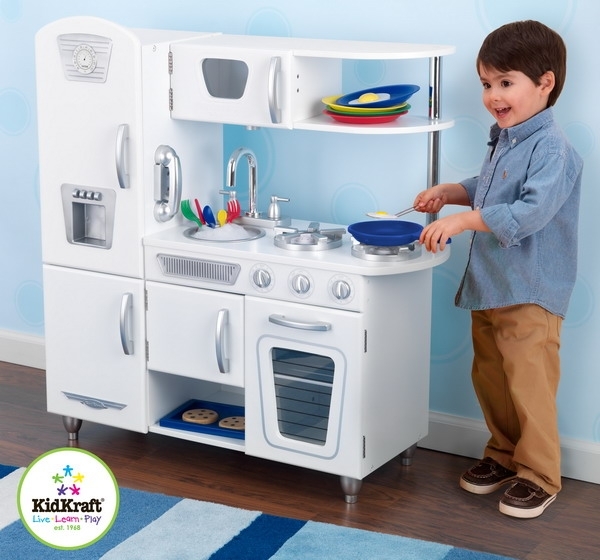 It’s time to cook up some creativity with our classic kitchen! 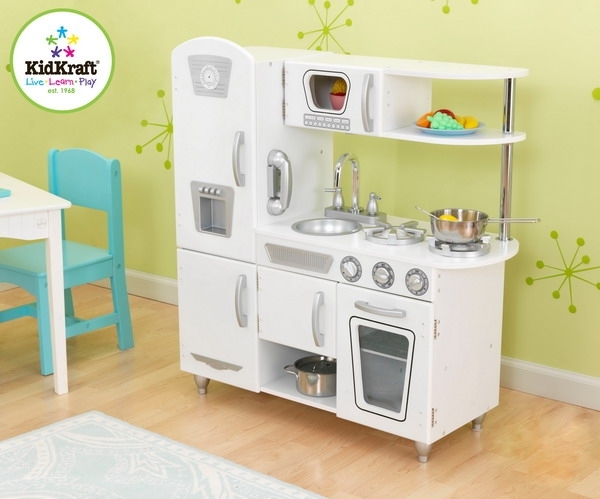 This kid-sized favorite features bright colors, imaginative details and is sure to impress the young chefs in your life.